The Opening of the Legal Year the Legal Year 2015 saw the usual three speeches by the Attorney-General, the President of the Law Society, and the Chief Justice. But perhaps the only thing usual was the fact that three speeches were made; indeed, on the 50th anniversary of Singapore’s national independence, the speeches were not of the usual mould. Instead, they were contemplative of the lessons drawn from the past, consolidating of the progress made in the present, and boldly hopeful in propelling the Singapore legal system to meet the new challenges of the next 50 years. This entry aims only to summarise these three key speeches for the benefit of readers who may not wish to read them in their entirety. The Attorney-General V K Rajah SC started off by noting that this was his maiden speech in his present capacity and pledged to further the good work of his predecessors and discharge his responsibilities to the utmost of his abilities. The A-G’s speech was contemplative, largely spent on “reflecting on the state of our legal system, its development and progress in the last  years and the challenges ahead”. The A-G highlighted that Singapore’s challenge in the past 50 years has been to “negotiate how the rule of law can be best implemented within our unique framework of social, economic and security needs”. He also noted that with Singapore’s attainment of social and economic well-being, the legal system is now moving towards greater emphasis on the individual citizen’s experience of justice within the wider public interest framework. Continuing the contemplative flavour of his speech, the A-G next turned to examine the key milestones in building the rule of law in Singapore. First, he highlighted that an effective criminal justice system is a key pillar of the rule of law, for it constitutes the mechanism to redress serious grievances and bring action against individuals for offences against society. In this regard, Singapore has not shied away from divorcing itself from unsuitable models from the West. For example, it abolished the jury system in 1969. The criminal justice system has also continued to ensure its process is more equitable to accused persons within the public interest framework, such as through the evolution of the criminal discovery regime and the fairness in sentencing offenders. Secondly, the A-G observed that Singapore’s civil processes have adapted so that cases can be heard expeditiously. 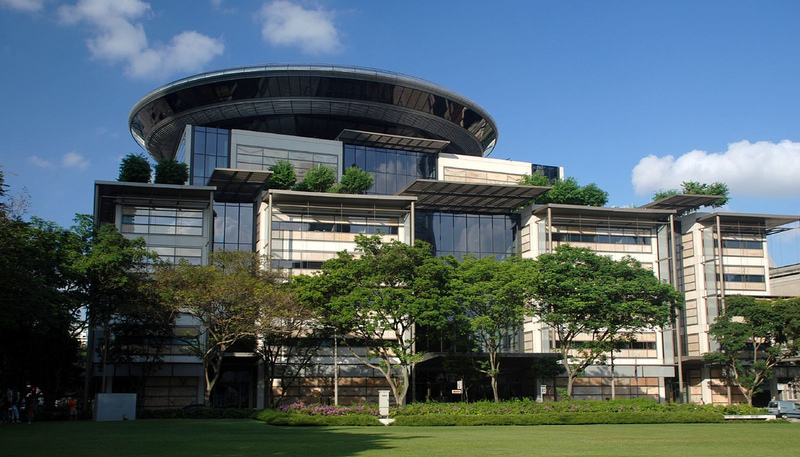 From the host of changes introduced in the 1990s to the present, the courts have continued to modernise their processes in line with Singapore’s vision to be a “smart nation”. Another change in the civil sphere is the increase in civil litigation between the public and the state in administrative and constitutional law issues; an increase which the AGC is prepared to meet. Above all, even in the midst of such changes, there will remain institutions, such as the judiciary, which must be protected. In this regard, Singapore’s choice in retaining the offence of scandalising the judiciary is taken in light of its particular circumstances, such as the fact that constitutional conventions and divisions of responsibility may not be understood by a large proportion of the public. Thirdly, the A-G turned his attention to significant structural changes to Singapore’s legal system. In this regard, he highlighted the growth of an autochthonous legal system, driven by significant changes in the 1990s, which has paved the way for the many reforms of today. Fourthly, looking perhaps more to the future, the A-G turned to Singapore as a legal services hub. He noted the confidence the international commercial community has in Singapore’s legal eco-system. Indeed, the establishment of the Singapore International Commercial Court (“SICC”) and the Singapore International Mediation Centre (“SIMC”) will further strengthen Singapore’s position as a legal services hub in Asia. In particular, the A-G noted Singapore’s move towards becoming a regional intellectual property hub as an example of Singapore’s sound legal system. Fifthly, the A-G stressed that as a small state, Singapore depends on respect for international law for its territorial integrity, economic and social development and progress as a nation state. In this area, Singapore has been a committed and responsible member of the United Nations and played a constructive role in international affairs, such as relying on international dispute settlement mechanisms to resolve disputes. Sixthly, the A-G touched on the legal profession and community and how it has progressed tremendously over the years. Both the NUS and SMU law schools, as well as the third law school, will all provide quality avenues for those who aspire to obtain a law degree. The A-G also stated the importance of finding ways to recognise those develop differently or later, since examination results do not invariably demonstrate good lawyering skills. The importance of continuing legal education, the duty to be ethical, and the reporting of pro bono hours were also highlighted by the A-G. The A-G concluded his speech on a similarly contemplative note as the rest of his speech. He observed that Singapore has come a long way and has now embarked on a different journey, in which we look globally to the best policies the world has to offer, always adapting them to our local context. Mr Thio started his speech on a similarly contemplative note, remembering the lessons learned as a young lawyer: that the law is a noble profession and that legal practice conducted with integrity and purpose is a career worth having, whose reward is a life well led. 2015 will see the regulation of domestic and foreign legal entities under the new Legal Services Regulatory Authority. Under the Professional Conduct Council, foreign and Singapore lawyers will follow a common set of ethical rules. 2014 saw the formation of the SIMC, and 2015 the launch of the SICC. Foreign law firms will continue to grow in numbers here as Singapore aspires to be a global legal hub. The challenge is to engage with, and not ignore, the foreign firms. What is the Law Society here for? Mr Thio then contemplated what the Law Society is here for. He thought that because law is the foundation of any civilised society, the Law Society, representing a college of lawyers, must ensure excellence in their standards, unimpeachability in their ethics and a conscience for the community. This mission is seen through three areas. First, standards – Singapore needs world class Singapore lawyers for both commercial and community matters. The maintenance and the raising of standards is key to the Law Society’s role as a representative body. Mr Thio said that the Law Society will renew its efforts to provide training not only in CPD programmes, business development and practice management, but also in professional courtesy and ethics. Related to maintaining standards is the Law Society’s disciplinary function. Mr Thio said that the Council of the Law Society will look into enhancing the complaints procedure against lawyers to better serve the needs of the lawyer and the complainant. Although there are the few who have transgressed ethical standards, Mr Thio believes that an overwhelmingly majority of lawyers are competent, honourable and ethical. Thus, there must be balance found in dealing firmly with the errant few but ensuring a fair and level playing field for any lawyer faced with a complaint. Turning his attention to small law firms, Mr Thio said that while they face challenges in an increasingly competitive market, they remain indispensable. The proper function of the rule of law requires strong and thriving small law firms that practise community law. In this regard, the Law Society will continue to help small law firms build sustainable practices in the changing legal landscape, such as initiating programmes to help them identify market and industry trends that will affect their practices. Mr Thio emphasised that pro bono efforts must remain core to the Law Society’s mandate. The Law Society’s latest efforts have been to help those most marginalised. Mr Thio also welcomed foreign law firms’ desire to help on the pro bono scene. A significant change is the expansion of the Criminal Legal Aid Scheme, which will see the new CLAS Fellowships scaling up the delivery of criminal legal aid. However, there is a need to structure and means test CLAS so that it does not cannibalise fee-paying work from criminal lawyers. Going forward, Mr Thio noted for the pro bono programmes to be sustainable, there needs to be, first, a more structured framework to administer those schemes and, secondly, a broader base of supporters, including financial contributors. Finally, Mr Thio stated his belief that the Law Society also serves by speaking up where they believe the law can, and ought, to be changed. Indeed, the legal profession needs to pull their weight in thought leadership. Chief Justice Menon began his response with the customary welcome and farewells to both incoming and outgoing judicial appointees. The reappointment of Justice Steven Chong to the Supreme Court bench after his busy and eventful stint as the Attorney-General. The appointment of five new Judicial Commissioners to the Supreme Court bench in 2014: JCs See Kee Oon, Hoo Sheau Peng, Valerie Thean, Aedit Abdullah and Debbie Ong. The Chief Justice noted that with these appointments, the bench now had nine Judges appointed directly from the Legal Service, a striking indication of the quality of the Service. The appointment of two new Judicial Commissioners in 2015: Mr Chua Lee Ming and Mr Foo Chee Hock; Mr Foo is presently the Registrar of the Supreme Court. The appointment of a new Registrar of the Supreme Court to replace Mr Foo Chee Hock on his appointment as a Judicial Commissioner: Mr Vincent Hoong. The first batch of Senior Judges comprises retired Chief Justice Chan Sek Keong, retired Justices Kan Ting Chiu, Lai Siu Chiu, Tan Lee Meng and Andrew Ang. Carolyn Berger, formerly Justice of the Delaware Supreme Court in the US. Patricia Bergin, Chief Judge of the New South Wales Supreme Court's Equity division. Irmgard Griss, former President of the Austrian Supreme Court. Bernard Rix, formerly Lord Justice of Appeal of the Court of Appeal of England and Wales. Yasuhei Taniguchi, formerly member of the Appellate Body of the World Trade Organization Dispute Settlement Body. Simon Thorley, a Queen’s Counsel who specialised in intellectual property law. Chief Justice Menon then looked to the future at the next chapter in Singapore’s legal sector. From an initial preoccupation with meeting the basic needs of a small, fledgling nation, Singapore’s legal system now provides a stable basis for justice to be both done and seen to be done. However, Singapore cannot rest on its laurels and its path forward should be guided by two important principles. First, the core mission of the legal sector is to serve our people. Legal frameworks and processes must be developed with this imperative in mind. Secondly, if we are to build a world-class legal infrastructure, Singapore must remain open to the region and global community. On the international front, Singapore, as a key legal and business hub in Asia, is well-placed to support Asia’s astounding economic growth through several initiatives. The first such initiative is the opening of the SICC, which is driven by two ideals, namely, the recognition that the explosive growth in commercial activity in Asia will be accompanied by an increase in commercial disputes and the corresponding need for institutions able to resolve those disputes swiftly, efficiently and predictably. The second ideal is the desire to enhance Singapore’s contribution as a centre for the resolution of commercial disputes by developing an entire suite of options. The establishment of the SICC will therefore complement the successful arbitration sector and make Singapore’s judicial institutions and legal profession available to serve the regional and global community. Chief Justice Menon then touched on how diversity between legal systems, especially in Asia, can inhibit transnational commerce at a time when the boundaries continue to become increasingly porous in trade and commence. To this end, Chief Justice Menon has established a committee to look into promoting the transnational convergence of commercial laws in Asia. The Committee is led by Mrs Lee Suet-Fern, with Chief Justice Menon and Professor S Jayakumar working with the committee in advisory roles. In connection with this initiative, Chief Justice Menon is also looking at establishing a permanent institute that will fortify these efforts through the development of research capabilities. Chief Justice Menon highlighted the creation of the Family Justice Courts on 1 October 2014, which has resulted in an integrated family justice system that seeks to develop a better way to resolve family disputes while placing at the forefront the interests of children. Mediators, counsellors and mental health practitioners are also now integral parts of the family court process, so that sustained support can be rendered to families in need. Chief Justice Menon then turned to look at the many initiatives at the State Courts to enhance the administration of criminal justice, such as the Progress Accountability Court, the Integrated Criminal Case Management System and the Sentencing Information and Research Repository. In the Supreme Court, 3-Judge panels have also been constituted to hear selected Magistrates’ Appeals and provide guidance on issues of sentencing. In order to complement the existing avenues which facilitate access to criminal justice, the State Courts will study the possibility of introducing a docket system for complex criminal matters and the provision of legal assistance for accused litigants-in-person even before the matter reaches the court. Finally, the Chief Justice also touched on the launch of the enhanced CLAS, which will strongly augment access to criminal justice. The Chief Justice then touched on two initiatives taken at the State Courts which impact upon civil justice, namely, the Primary Justice Project and the enactment of Order 108 of the Rules of Court, which simplifies the civil process for small value claims with a robust procedure. In the Supreme Court, a number of new measures have also been implemented to further improve access to civil justice following the success of the docket system. First, a number of 5-Judge panels have been commenced to hear selected cases of jurisprudential significance at the Court of Appeal. Selected non-parties, such as the relevant public authority, have also been invited to make submissions to address germane issues of public policy. The Rules of Court have also been amended to streamline the hearing of applications for leave to appeal and the filing of documents in consolidated appeals. The imminent publication of costs guidelines in the Supreme Court Practice Directions and on the Supreme Court website. Finally, Chief Justice Menon also commissioned a Civil Justice Commission chaired by Justice Tay Yong Kwang to reform and/or consider transformative changes to the litigation process aimed at reducing the costs of litigation, enhancing efficiency and effecting modernisation. Chief Justice then announced the establishment of the Singapore Judicial College to institutionalise and pull together the various judicial education programmes that had been discretely developed. Registrar Foo Chee Hock (and subsequently Judicial Commissioner) has been appointed as the Dean of the College, and assisted by District Judge Tan Boon Heng as Executive Director, and who will be in charge of the day-to-day operations of the College. Decisions of the College will be guided primarily by the Board of Governors, which is led by Judge of Appeal Justice Andrew Phang as Chairman and Justice Quentin Loh as Deputy Chairman. Finally, Chief Justice Menon announced that Mr Lee Kim Shin, Mr Tan Chuan Thye, Ms Mavis Chionh and Mr Edwin Tong have been appointed Senior Counsel. Concluding his speech, Chief Justice Menon stated his belief that this jubilee year will be a very special one for Singapore as a whole and that those in the legal profession must do their part to build on the superb foundations laid by the pioneers and look onward to the future, with a balance between playing a responsible regional or international role, and the quest for excellent in the domestic legal framework. Collectively, the future promises to be a bright one.